Hey there! I was going to have this post up last night, but I was so sick. I didn't go to the gym, I came right home and went to bed. It was 5 and I was in bed. Thankfully I woke up this morning feeling better, so here I am! 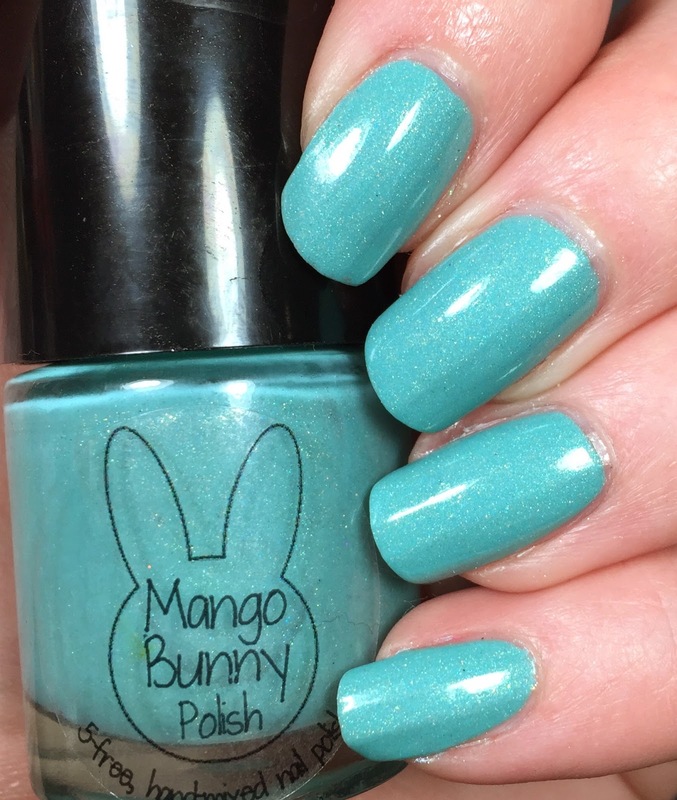 Today I have a post featuring a new to me brand called Mango Bunny. I have seen posts about this brand on Instagram so when given the chance to check one out, of course I said yes! I was sent the polish of the month for March! 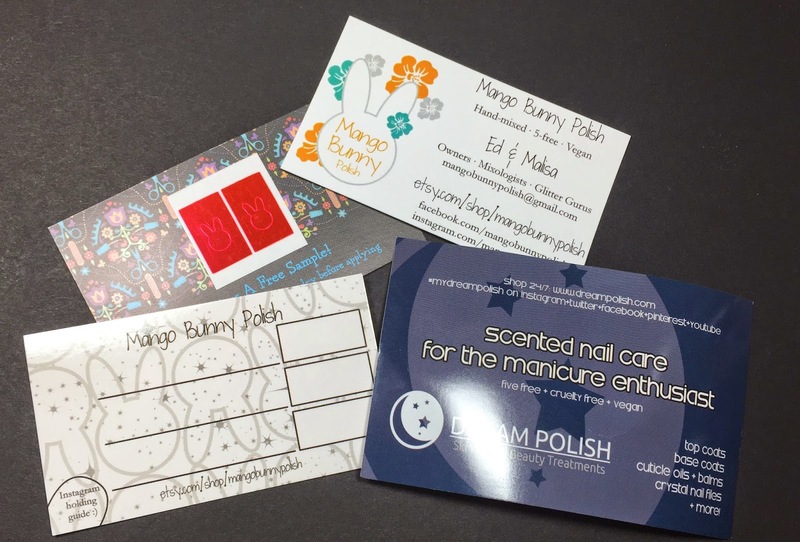 Mango Bunny offers their very own subscription service! You can get 3, 6 or 12 months! The 3 month option is $27, the 6 month option is $51, and the 12 month option is $90 (prices listed as of today, March 3, 2015). That's not all they offer either, check them out for more colors you can purchase right now! 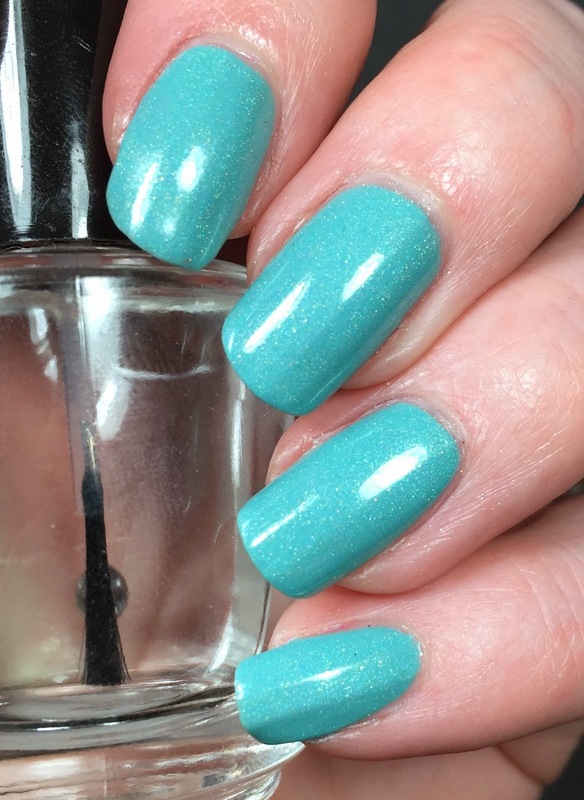 The polish of the month for March is called Tide Me Over and is so beautiful. 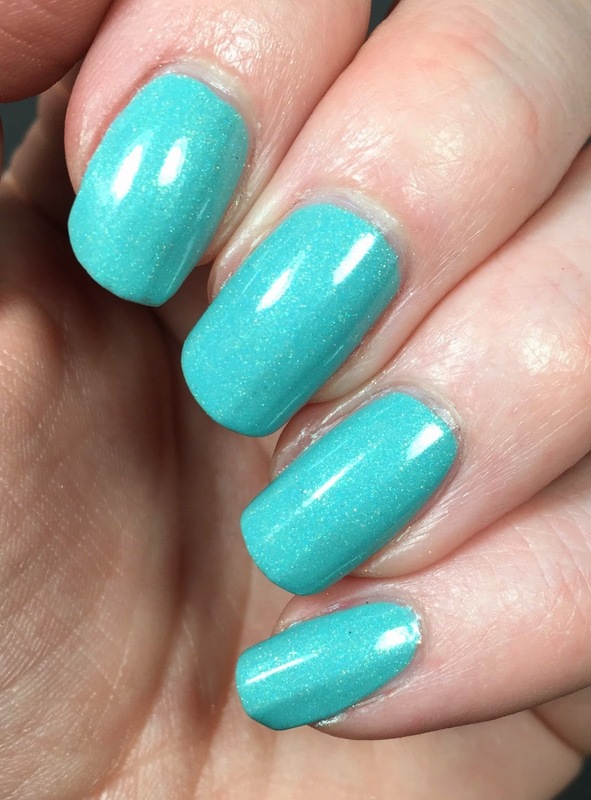 The description they have provided is " a dusty teal cream with a touch of gold shimmer and subtle holo". I did two coats here and it went on super easy. I have this topped with Glossy Glam. This is the rest of the box for March! There are business cards for the brands in the box as well as a swatch card. That swatch card is such a great idea! There are three spots for you to write the name of the polish color and a box for you to put some on the card! 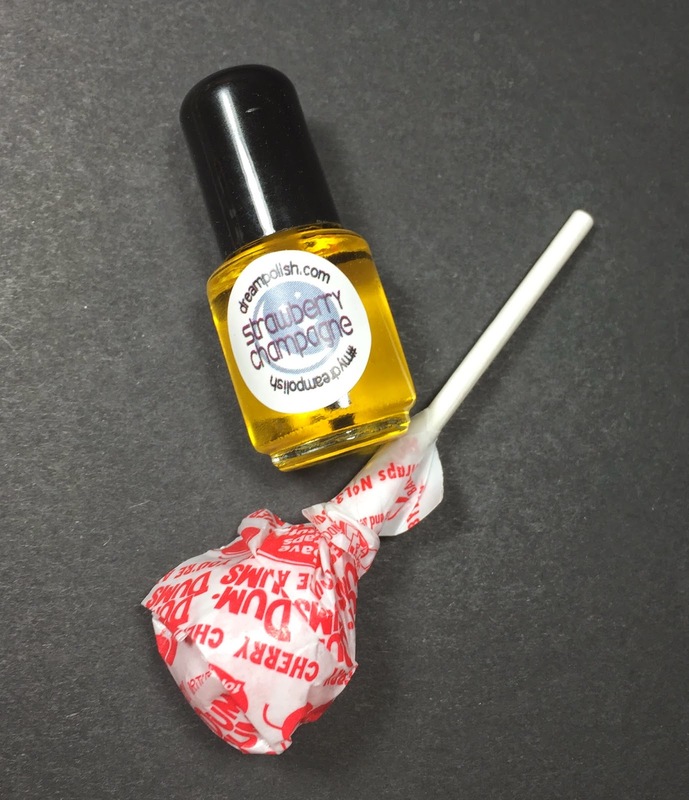 Some cuticle oil from Dream Polish in the Strawberry Champagne scent was included and a dum dum! I think the little bottle of cuticle oil is so cute! It's the perfect size to throw in your bag. It has a brush applicator and is the perfect size for applying just the right amount of oil. Check out http://www.dreampolish.com for nail care products and available scents.